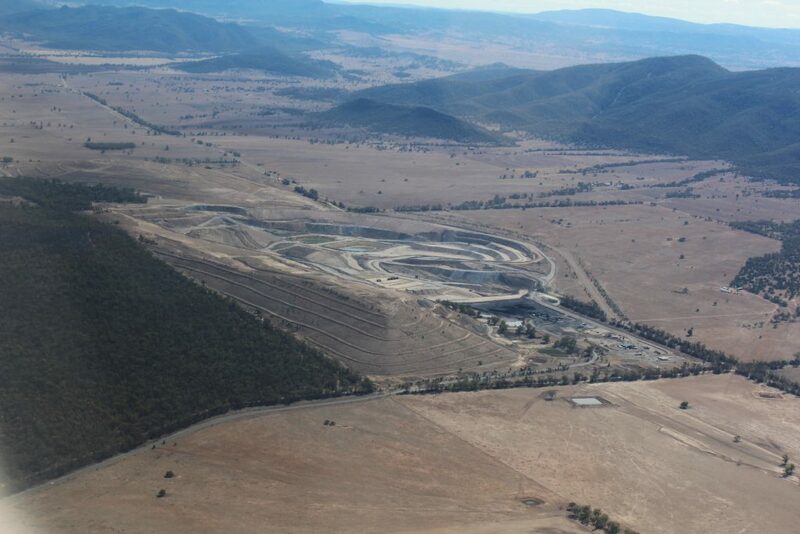 Rocglen Mine, situated on the floodplain with the Nandewar Ranges to the east (top) and Vickery State Forest to the west (left of pic) Pic courtesy of Wando Conservation and Cultural Centre Inc, Maules Creek. The NSW Land and Environment Court has decided the case of Environment Protection Authority v Whitehaven Coal Mining Ltd  NSWLEC 27, a prosecution of the Rocglen Coal mine over a blasting violation from 2016. Whitehaven Coal Mining Ltd (“WCM”) is a wholly owned subsidiary of Whitehaven Coal Ltd (“WCL”), the latter which operates the Maules Creek mine a little to the north. WCM pleaded guilty to offences including including allowing dangerous NOx gases to escape from the site into surrounding farmland, and breaches of the Blast Management Plan, such as carrying out a blast without a written risk assessment being undertaken, using explosive products which increased the risk of blast fume generation in the conditions, and overloading blast holes with explosives. But the fine of $35,800 was reduced from a higher sum, due in part to the Judge’s conclusion that WCM is “a corporate citizen of good character”. For those familiar with the track record of the parent company Whitehaven Coal Ltd and the history of the Maules Creek mine, and Gunnedah Coal Washery and processing plant, this aspect of the Judgment was disappointing. The Court was not permitted to take into consideration the environmental track record of Maules Creek mine, nor such other evidence as Chief Executive Officer Paul Flynn’s blatant mistruths to the 2017 Annual General Meeting where he blamed the reclassification of the mine’s risk level on just one farmer complaining for financial motives so he could get a higher price for his property. Many submissions against the Vickery coal mine have also argued against the eligibility of Whitehaven Coal on the grounds of “not fit and proper” to hold an environmental licence. However, the Judge was not allowed to consider the long list of grievances, licence violations, cautions and other regulatory action against Whitehaven Coal because Rocglen licence is held by WCM. Therefore, even though it is a wholly owned subsidiary, the conduct of other companies in the Whitehaven group is not to be considered. Nor did Judge Pepper hear about some of the personal stories of some farming neighbours such as the Nicholls’, who in 2014 complained bitterly about their plight living within 24km of three Whitehaven mines in the area. Faced with a fourth mine impacting them (they did not include Maules Creek and Boggabri coal mines) the Nicholls concluded, “we are too close to such a major mining development, effectively 100% within the 4 km zone from the mine”. The Nicholls subsequently sold “Brolga” property to its present owners, the Land and Water Commissioner Mr Jock Laurie and his wife. Land and Water Commissioner is “a sensitive independent role, which involves liaising with landholders and mining companies over access to properties for coal and gas exploration”. The latest Whitehaven fine was accompanied by Court orders that the company place a notice in various National, State and Regional news publications advising of the commission of the offence, and to place a notice on the parent company, WCL, website in the “Company News” section advising of WCM’s commission of the offence. Judge Pepper also required publication in the parent company’s website in the “Company News” section advising of WCM’s commission of the offence. However, there is one publication where news of the conviction will not be notified – and that is the company’s own Annual Report. Whitehaven “strenuously” resisted attempts by the EPA to persuade the Land and Environment Court to order details of the conviction be published in the parent company’s Annual Report. The offender has thereby limited the degree to which Whitehaven Coal shareholders would be made aware of the conviction. Whitehaven argued that this would be “excessive punishment”. Indeed, news that another Whitehaven coal mine or processing plant is being cautioned, fined, or subjected to a mandatory environmental audit or clean up order, certainly could have a tendency to undermine confidence in Whitehaven Coal. Will this conviction make a difference to the culture within the Whitehaven Coal group change? In order to save one day of production time at a small, relatively insignificant mine, Whitehaven set in train a botched blast. None of this would have happened if they had waited for one day. Imagine the pressure to keep production going at Maules Creek, which is at least five times larger. At the time of the blast incident, the General Manager of the Gunnedah Operations, including Rocglen Mine, was Mr Nigel Wood who is now the General Manager at Maules Creek coal mine a short distance away to the north. Jamie Frankcombe the General Manager of Group Operations is also still in the role. And of course the CEO Paul Flynn is still the same. There is no practical distinction between WCL and WCM. The same people staff the mines and are moved about from time-to-time. It is very unlikely that this offence will change how things are done at Whitehaven mines. But Whitehaven may regret that they broke with their usual “never admit anything” credo by self-reporting this offence. 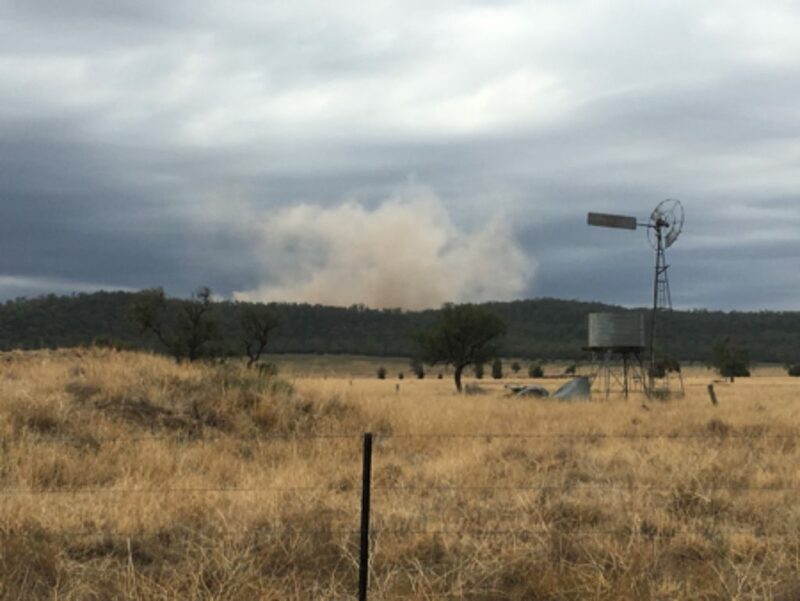 Image supplied: 27th March 2019, 12:34pm Maules Creek mine blast seen rising over koala habitat at Leard State Conservation Area. This blast is now the subject of a complaint by the community. Presumably, Judge Pepper is correct in not being able to take account of the infringements made by the parent company in determining the fine to be levies on WCM. However, this is clearly an unsatisfactory position and one would think that the law should be amended to allow the Courts to take into account such matters in corporate groups that operate as a conglomerate, or at least where there is clearly control by the parent company.